Similar to JMK, I have a slight (and by slight I actually mean borderline unhealthy – the first step is admitting it, right?) 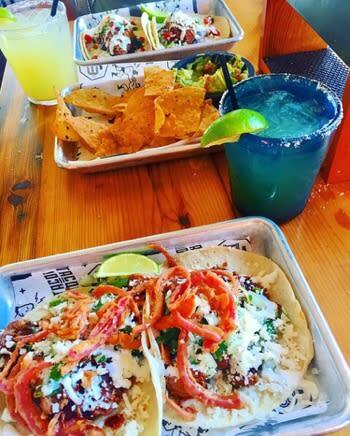 obsession with Taco Betty’s. How could you not though? For starters they have THREE different kinds of guacamole (Smoked Poblano, OG, and Bleu Cheese)... not one, not two, but THREE DIFFERENT KINDS PEOPLE! If that isn’t a selling point, then we need to have a serious talk about their Sweet Corn Elotes. I don’t want to sound dramatic here but these are life changing. Any time someone joins me at Betty’s and I literally mean every single time, I force feed them the Sweet Corn Elotes (I’m Italian give me a break). I should also point out that every single time EVERYONE loves it. Now let’s get back to the most important part of the menu... THE TACOS. So far I have tried the Crispy Fish, Chimichurri Beef, Pork and Pineapple, as well as several of their specials. Trust me when I say that you cannot go wrong when choosing your main course. If you are a fun person (which I assume you are since you are reading my blog), then you MUST order a Pineapple Marg cube. I would recommend sharing your cube with at least three other people or else you will wake up to several inexplicable Uber receipts in your inbox the following morning. I should also mention that their rooftop is now open so I am officially in love (and you should be too). 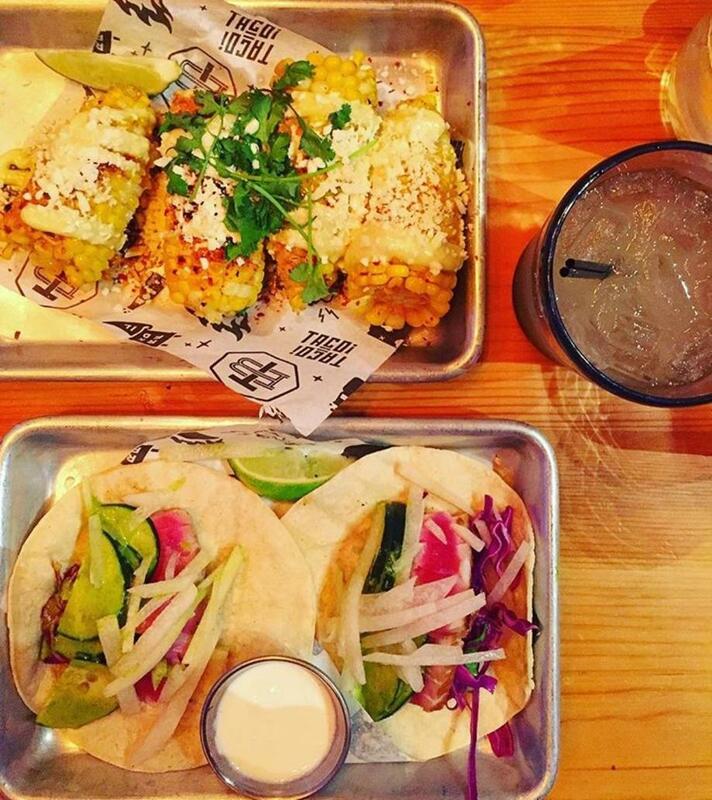 Pro Tip: If you are on a first date, ask if the kitchen will cut the corn off the cob for the Sweet Corn Elotes. You don’t want corn juice leaping off the cob into your eyeball. It isn’t pretty… trust me. 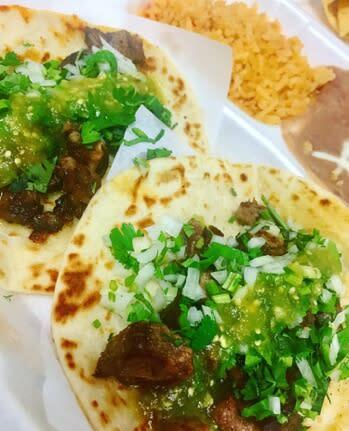 Let&apos;s taco ‘bout another Rockford staple… LUCHA CANTINA! Located on the second floor of the Edgebrook Shopping center, you will find that Lucha only serves food made out of pure and natural ingredients. I should also mention that they DO NOT use sweet & sour mix in their margaritas. I’m a simple girl, folks. It doesn’t take much to make me a happy camper, so hearing the words no and sweet & sour mix used in the same sentence is music to my ears. Speaking of their margaritas, they are DELICIOUS. There are so many different options that it is nearly impossible not to find one that you will like (unless you aren’t a tequila person for some reason… definitely judging). In addition to their variety of margaritas, Lucha has several flavors of salsa! Between the Cilantro Dill, Pico de Lucha, Matador Red, Piña Poblano, and Habanero Garlic, there is something for every type of taste bud. I think I have gone on long enough about everything else that is fabulous about Lucha… Now it is time to get on my soap box about their tacos. 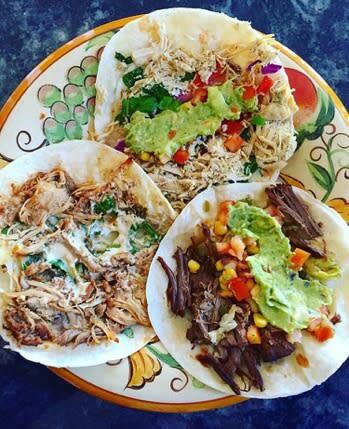 The picture above features pork, chicken, AND beef tacos. These were actually a part of Lucha Cantina’s catering, so I may or may not have added some of their yummy guac to my tacos because #GUACISLIFE. The only time I ever visit my dad at work is when my mom tells me that Lucha is being catered for lunch (sorry dad), BUT this should show you how much I lurve their tacos. Last but certainly NOT least is Los Portales. The thing I love about Los Portales is that it is everything you need in life and more (remember this is coming from a 24-year-old chick that writes blogs about food and booze). Want a taco at 2am on a Saturday after a trip to the Rue Marche? Los Portales is open. Want a taco but you only have $5 to your name? Los Portales has an affordable menu. Want a taco but don’t feel like sitting down for an hour-long dinner? Los Portales has carryout. My taco loyalty typically lies with Taco Betty’s and Lucha Cantina but Los Portales has definitely made it onto my list. I visited LP on a day where I had a very large appetite so please do not judge the amount of food that I ordered. I told my coworkers that I ordered all of it for the sake of the picture… that’s my story and I’m sticking to it (hopefully none of them read this). ANYWAY I ordered two Carne Asada Tacos with cilantro and onion… with a side of rice and beans… and a side of chips with guac. The tacos were so good you would have thought I was participating in an eating contest. Everything else that I inhaled beyond that was just the icing on the cake. The moral of my Los Portales story is that you should go there. I promise that you and your food baby will live happily ever after.